Sai Angan boasts of a huge, state-of –the art, eco-friendly Atrium which allows natural sunlight to stream in. The multipurpose atrium is used as the venue for all activity based school events, club exhibitions, student performances and celebrations besides sometimes being used for the school assembly. 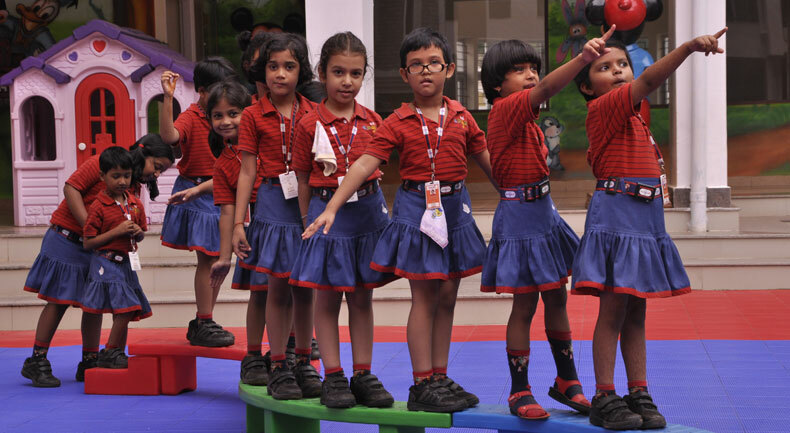 Hence it acts as an activity centre for exchange and strengthening of ideas and concepts beyond the classroom. Centrally located, the colourful atrium is the focus and hub of the school, with ramps on either side leading up to the classrooms, providing the much needed physical exercise and a break from monotony.